More soul seekers, writers and artists than ever before are beginning to consciously access their own Akashic Records for personal guidance, spiritual evolution and creative inspiration. Learn new ways to tune into Soul-level inspiration more consistently and deeply with Akashic tools which enhance your creative process from the inside out ~~ for writing, music, art, film, other artistic projects and also brainstorming for business! You’ll also learn how to collaborate with your personal Akashic Muse: a past life expression of your own Soul which already has skills and support for your area of creative endeavors! Author bio: Barbara Schiffman is a Life&Soul Coach, Soul Keys Hypnosis Therapist and Akashic Records Advanced Certified Teacher. She’s personally trained by Linda Howe (creator of the Pathway Prayer Process© and award-winning author of ‘How to Read the Akashic Records’). At age 21, Barbara Schiffman loaded all her possessions into a U-Haul, bid farewell to her native Chicago and headed to LA to work in Hollywood. For nearly four decades she worked as a highly-regarded script consultant, working with A-list talent and top Hollywood firms like Creative Artists Agency (CAA), Dreamworks, Harpo Productions, HBO and Miramax, to name just a few. Now in her sixties and just beginning her “second act,” Barbara continues teaching and writing — as well as editing fiction and non-fiction books for other authors — while learning new life lessons and spreading more joy in the world every day. Personal experience plus observation has helped her create unique life balance coaching programs for creative professionals and just plain folks who are actively seeking to live resilient and exhilarating lives. The books she has written or contributed to — especially her energy-boosting “Living in Balance for Boomers: Secrets to Making the Most of the Second Half of Life” and ecourses “Energize Your Life with the 4 Elements” and “Taking Your Leap of Faith” on DailyOM.com — are valuable life improvement manuals for people of every interest and age group. Professional Speaker Topics: • Balancing Life From the Inside Out – Everyone’s seeking a balanced life, but balance isn’t being perfect — it’s keeping all your life-plates spinning by replenishing your own energy reserves! Barbara talks about her unique Life Balance processes, such as using the 4 Elements (Earth, Air, Water and Fire) to balance Body, Mind, Heart and Soul and tapping into the Akashic Records for Soul-Level Living. • Living on Earth From Your Soul’s Point of View – To Barbara, everything we do in life feeds, evolves and expands our collective Souls — relationships, creative projects, work, health — including life challenges. How can viewing life from the Soul’s Point of View help us live it with more peace, meaning and fulfillment? 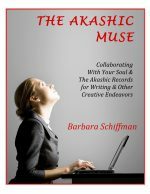 Barbara talks about her work with the Akashic Records and other spiritual tools to help people enjoy their lives and simultaneously evolve their souls. • The Art and Science of Taking Leaps of Faith – More people are being called or pushed into taking Leaps of Faith in careers, relationships, health or finances as well as to pursue their dreams. Barbara’s discovered the 6 Stages to Taking Leaps of Faith and shares fresh ways to build courage to take leaps by choice or circumstance with more ease and joy. • Creativity, Conscious Evolution & The Akashic Records – Quantum physics and metaphysics agree that a unified energy field exists which contains a vibrational record of humanity’s evolution, collectively and individually. Called the Book of Life by religions and the Collective Consciousness by Karl Jung, the Akashic Records were accessed via hypnosis in the early 20th century by mystics like Edgar Cayce and more recently written about by quantum physicists like Ervin Laszlo. As the archive of each soul in its journey through all lifetimes, the Akashic Records can now be accessed by easier methods than ever before. Barbara shares how the Akashic Records are valuable for creativity, spiritual healing and conscious evolution, and how to working with dream fragments within the Records opens up new creative horizons. • “Parenting” Your Aging Parents – After Barbara’s mother had a massive stroke in 1999, Barbara spent the next 10 years “managing” her parents’ lives and essentially becoming their parent. Until her father died in 2002 and her mother in 2009, she had to learn how to manage their affairs, their finances, their health needs and much more as a “long distance” caretaker. There were few resources when she was forced to step into this role. 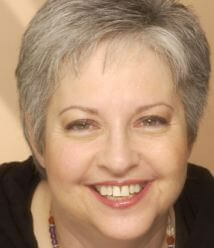 Now there are many for Boomers who are also dealing with this issue &/or find themselves in “The Sandwich Generation.” Barbara shares lessons she’s learned, resources she’s tried and knows about from others’ experiences, and tips on staying centered and not losing one’s own life when Boomers become their parents’ parents in the 21st Century.